Turns out, you can have your Christmas cake and eat it too with Go2Practice. 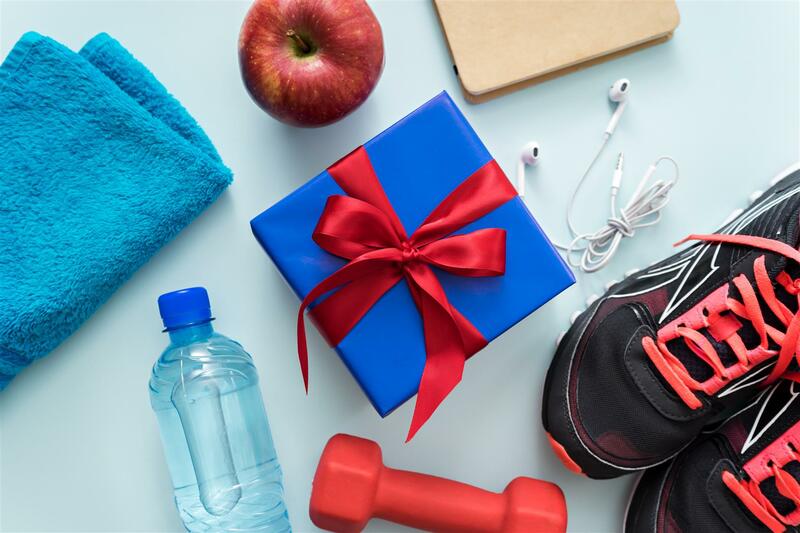 Nothing sabotages a wellness plan like a trip home over the holiday season- we’d all love to have a dedicated routine to keep us on track, but in reality, it can be difficult during the holiday season. You can’t have it all, right? Wrong! Enter Joanna Stahl, fitness entrepreneur behind popular app Go2Practice, who explains how you can continue on your fitness journey and still enjoy some Christmas ham with your loved ones. Whether you’re on the road visiting family in Ohio, or at a hotel in the city on the way to meet your loved ones, your health doesn’t have to take a back seat! We all know hotel gyms aren’t the best, what is your go-to ‘hotel workout’? Joanna Stahl (JS): Travel and keeping fitness in the mix anywhere is the primary reason I started Go2Practice! I love exploring new places and try to avoid hotel gyms. Lately I’ve been trying to pick a gym that isn’t just what’s closest to the hotel, but rather one that I have heard of that’s within a short distance, which helps me get a lay of the land and try something new. Poor weather conditions or darkness before dawn is often a reason to keep me at a hotel gym. My go-to workout is relatively simple – I’m a huge fan of the Stair-Master, because it’s easy on the joints yet hard on your muscles and is a great cardio session. Plus, it’s easy to browse your phone while in motion. Add in a few sets of side planks and pistol squats that transition to pushups and I’m back in the room to stretch within an hour. It also helps to have a great playlist- I post my playlists from my weekly spin/bootcamp classes on Spotify (Go2Practice). It’s really a matter of getting your performance gear on and getting out the door, exploring fitness options and getting in your daily sweat is now seamless regardless of the destination. Any gear suggestions for at-home workouts? JS: My go-to gear for all workouts is my trusty Suunto Heart Rate Monitor. I’ve been utilizing heart rate training since college and still find that there is nothing better than knowing how your body is reacting to a workout in real time. I also suggest having an at home ab roller, a foam roller, a good floor mat plus some sanitizing spray nearby for quick clean up. With using Go2Practice, what are some of your favorite cities/classes? JS: Go2Practice is currently the most complete fitness resource, showcasing a directory of over 100,000 fitness activities to do across the U.S. When traveling, I’m always torn on trying a new class or fitting in my own workout plan. Luckily, most towns and cities not only offer both options, but also have a pretty extensive coverage of all modalities. New York City has an incredible fitness density and is my home turf, San Francisco is my second office and I’ve had a great time navigating exponential fitness options there. I love the growth and mentality of the Denver market, I have always thought that San Diego is a small fitness universe full of amazingly trendy, fit people and a great test market for the industry. Also, as a Philly native, watching the evolution of that market is quite exciting. Generally speaking, fitness trends are similar across all towns and cities and the growth of transient, fitness-minded consumers is exponential with no expectation of slowing down! Do you suggest high-cardio or moderate weight workouts during the holidays? JS: My suggestion is very prescriptive based on what else you have going on during the holidays. Knowing yourself is half the battle with fitness and all aspects of life. First and foremost, always ensure a good warm up. I like to say until you drop a bead of sweat, you can’t consider yourself warm which should take less than 10 minutes. If you are pressed for time, there is nothing better than an interval workout intermixed with strength/weight moves. An example of a quick workout I love is: 6x 30 seconds sprints, 30 seconds active recovery and then 2 min of a strength move like compound pushups, bicep curl/shoulder press, hanging leg raises. Breaking down workout segments into 5min chunks like this lets you put an easy framework to your success, how many sets do you have time for? If you aren’t pressed for time, the holiday stretch could be the perfect opportunity to get an extra-long workout in… ex: the hike that never ends, a run on a different longer path, back to back cycling classes, or just try every machine in the gym! Overall, the training effect of either workout type, the power hour in and out or the 2-hour leisure sweat session yield similar results, so do what makes you feel good… that is the trick to keep coming back! What are your tips for making exercise a family activity? JS: My recommendation is for the adults to meet the kids where they like to play and make the playground work for everyone – monkey bars, rope climbs, swing sets, obstacle courses and navigating jungle gyms are all a great workouts for everyone. Exercising with the family has to be a fun experience and can easily accomplish individual fitness goals at least a few days a week. The best examples I’ve seen beyond the playground are family fun runs, pickup basketball games, pool time, hiking and long walks at the zoo. Every night turns into a weekend night during holiday travel, what, if any, alcoholic drinks do you suggest staying away from? Stay away from caloric dense beverages all together, including juices, milk-based beverages from egg nog to latte’s, sodas and most mixers. Don’t drink alcohol with meals. Drink a full glass of water in between ordering/refilling your cocktail glass. As far as alcohol preferences, I recommend a simple gin/tequila/vodka mixed with soda water and a splash of fresh fruit like lime, orange, watermelon etc. If you do prefer wine/beer/margaritas just remember the additional calories per cocktail and adult accordingly. JS: I really don’t focus much on travel supplements as most of my adventures are to destinations where include healthy food options are not a concern. However, I am currently preparing for a week trip out of the country and am packing multi-vitamins, Vitamin D, instant coffee, Trader Joe’s trail mix, and Advil just in case of a hangover. What are the best snacks for food emergencies? JS: This question hits home because you always think it’s an emergency when hangry hits! The first line of defense is to chug some water! In my fridge there are always a few ready to drink protein drinks for quick fixes, Myoplex is my favorite though Pure Protein and Muscle Milk are also often seen in the fridge. On the go, I always try to keep at least one or two bars/snacks in my computer bag, rotating either a Powerbar, granola bar or snack size trail mix. There is usually a bag of beef jerky and multiple flavors of gum stashed in my car just for these emergencies. Also, whether you are at the airport lounge, a hotel entry way or passing a bodega on the way to the train station…. every time you see a fresh banana or apple and wonder if you will want that later – you will, take it with you! The best options for food emergencies are nutrient dense items and hydration. For more on Joanna Stahl and Go2Practice, follow along on Instagram at @Go2Practice_Life or go2practice.com!